Bohemia online casino is a reputable casino, which is safe to play at.it offers random games that are fully licensed as it holds a gaming license from Malta. Through this it has been able to provide its players with a great playing platform, which is both safe and fair. Since its formation in 2013 Bohemia casino has strived to provide the best experience to its players from Czech Republic and Slovakia. 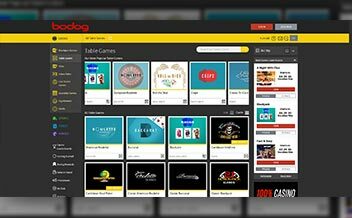 The user friendly platform is easy to use and different types of online casino games available. Bohemia online Casino is known to boost a healthy selection of progressive jackpot slots, with 10 titles in total. This is slightly higher than in other online casinos thus players can compete for amazingly life-changing payouts from a number of progressive jackpot prize pools. Some of the progressive jackpot games that offer gigantic payoff to the players include jackpot jester50,000 ,cosmic fortune and Mega Fortune Dreams with an incredible record for the biggest pay-out in online slot history, a truly mega fortune of €17.8 million. Other Bohemia Casino progressive jackpot games include Holmes, the stolen stones, merlin’s millions cosmic fortune and many more. One is spoilt of choice on the slot games available as the casino boosts a healthy number of slot games. Video slots are the real deal at Bohemia casino, indeed with a total of 166 slot machines with an entire Net Ent Catalogue available on site you will find classics like gonzo quest, blood suckers and Mega fortunes. As for top Micro gaming games and Play’n GO,the casino offers games like, Immortal Romance slot, Crazy Cows slot, Riches of Ra slot, Thunderstruck II slot, , and The Finer Reels of Life slot. Video slots machines are the real stars of the show at Bohemia Casino. 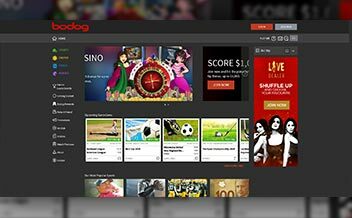 Indeed, with the entire Net Ent catalogue available on the site as well as plenty of big hitters from the other two slot providers, you’ll have no trouble finding the perfect game to get started on. Bohemia Casino’s has an impressive list on variety of table games that includes roulette, blackjack, , baccarat, casino Hold’em, and pai gow To keep the player interested Though not as extensive as you might find at some other online casinos, its table game suite manages to offer three varieties of blackjack and five different forms of roulette to keep things fun. For players who are video poker funs a range of games which includes classic jacks, joker poker and deuces wild formats. With all versions available in single and multi-hand format, players certainly are spoilt for choice. The casino also offers two specialty games, namely Hole in One and Triple Chance Hi-Lo. A number of bonus offers are available on the site, this includes a matching bonus upon registration. Weekly draws are also done randomly, with cash prizes incentives, which players qualify upon making deposits, and other regular promotional incentives. A generous welcome package is offered by the casino for its new customers. Upon registration Players can benefit from 10 free spins on each of their first 3 days, with no deposit required. On top of that players can claim a generous deposit bonus which is 100% deposit. Bohemia online casino offers 100% first deposit bonus up to 2500 CZK free plus 10 free spins are awarded with promotion code BONUS100 with terms and conditions applying. New players only a Wagering deposit bonus 40 times is allowed to new players on all games.. This casino bonus applies to customers playing table games at bohemia casino it mainly provides a wagering requirement of 40x. 8% for Classic Blackjack, baccarat, Other Blackjack, Poker Games where a percentage of 5% for Video Poker is given. This promotion applies players playing any of the following games Other Blackjack, Baccarat, video, Poker Games, American Roulette and Other Roulette upon signing up. A percentage play through by game of 10% is given. While 8% is awarded for Classic Blackjack and Craps.in addition a 100% Sign Up bonus with a max bonus of €100 and a wagering requirement of 40x on Slots is also availed upon signing up. Betfair casino is always adding latest new games, and rewarding promotions for their players. This is a reflection on the type of treat the sites has for its customers. It is therefore very important to keep visiting the site so as to be updated with the latest information in regards to the games and promotions on offer. 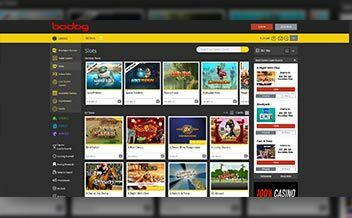 Bohemia Casino is powered by Net Entertainment which is the main providers with a website with great theme and graphics. Play’n GO has titles which are diverse and ensures that player’s have all the options they need. Micro gaming, Quick spin, NextGen, Thunder kick and ELK Studios are reputable software developers. The casino does not offer download option to its players therefore its instant play based. Games are provided through a web-based platform and Players can access games on their smartphones and tablets. They can also access games via the casino’s mobile website. The casino site supports Master, Maestro, Visa and Visa Electron Cards and pays via e Wallet Skrill and bank transfer methods. No withdrawal fees charged on withdrawal and funding accounts. Languages supported by the casino are Czech and Slovak. Bohemia casino web layout is user friendly and easy to navigate and use. This enhances a feeling of delight and comfort to users ensuring they enjoy every second of it. Website. The interface it is limited by the small display size of mobile devices. Go Daddy verifies Bohemia Casino it is protected by a 128-bit SSL encryptions system which is verified by Go Daddy, this safeguards players’ privacy and ensures their security their privacy. This enhances that clients’ confidential information is protected. Bohemia Casino is happy to assist every player. An FAQ section featured by the casino answers most common questions in regards to the casino site. The support team can be contacted through email or by filling out a form found on the website. A variety of slots available to choose from. Customer are rewarded with an impressive bonus system and other promotions. 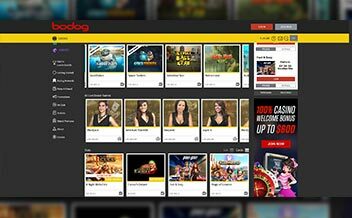 For players from Czech and Slovak, Bohemia casino is a great site to play users enjoy the services made to suit their needs and preferences. The games are in plenty with descent rewards scheme and promotions implemented.